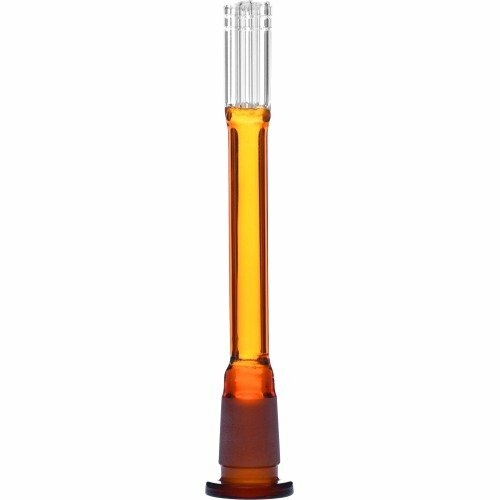 12-1530 SCIENTIFIC LAB GLASSWARE STEM 18MM BY 14MM STEM 6 ARM PERC AMBER 4.5'' by SCIENTIFIC LAB GLASSWARE STEM at Dupen Labs. MPN: a007fecf4be0. Hurry! Limited time offer. Offer valid only while supplies last. View More In Long Stem Funnels. If you have any questions about this product by SCIENTIFIC LAB GLASSWARE STEM, contact us by completing and submitting the form below. If you are looking for a specif part number, please include it with your message. SCIENTIFIC GLASSWARE STEMS 12-1532 18MM BY 14MM STEM 6 ARM TREE BLACK 4.5"
SCIENTIFIC GLASSWARE STEMS 12-172 18MM BY 14MM STEM STANDARD DIFFUSER CLEAR 5"
SCIENTIFIC GLASSWARE STEMS 12-748 14MM BY 10MM STEM STANDARD DIFFUSER CLEAR 2.5"